Although I had been a collegiate athlete, I had completely lost touch with health and fitness. For many years, my focus was on things I think we can all relate to: building my career as a lawyer, getting married, raising four kids and just getting the bills paid. Along the way, I became sedentary without a second thought devoted to how and what I put down my throat. As I inched towards forty, my addiction to cheeseburgers, pizza, fries and buffalo chicken wings began to catch up to me. I was fifty pounds overweight, but I continued to convince myself that I was still that fit college athlete, bulletproof to obesity and declining health despite the fact that I was perpetually exhausted, lethargic and depressed. Never underestimate the power of denial. On the precipice of my 40th birthday, I was blessed with a moment of clarity. It was very late, and as my family slept, I walked upstairs to go to bed after a long night of mindless television on the couch eating fast food. My chest tightened, and I was so winded, I came close to passing out. As I watched my wife and our little baby girl sleeping in my bed, I was gripped by fear. I was reminded of the heart disease that runs in my family and how it took my grandfather’s life at an early age. I was face-to-face with the reality that I was no longer fit and youthful, but very overweight, terribly out of shape, and – more likely than not – facing the strong likelihood that I would suffer the same fate that stole the young life of my grandfather. The next day I formulated a plan to take back my health. My plan started with embarking on a 100% whole-food, plant-based diet. When I began this journey, I had no desire whatsoever to return to competitive athletics. My goal was simple: Avoid a heart attack. Lose some weight. Feel better. If you had told me five years ago that I would be standing where I am today as a successful ultra-endurance athlete at age 45, I would have said you were completely insane. Yet against all odds, I have clocked two top finishes at the Ultraman World Championships. Widely considered one of the most grueling endurance races on the planet, Ultraman is a three-day double Ironman-distance triathlon that circumnavigates the entire Big Island of Hawaii. Kicking off with a 6.2 mile ocean swim, it’s followed by 270 miles of cycling and culminates with a 52.4 mile run. In 2009 I was actually the race leader, holding a ten minute lead over a professional field of hand-selected athletes from all over the world. I ultimately finished in sixth place due to a bicycle crash on Day 2 that took me out of podium contention. In 2010, fellow Ultraman Jason Lester and I accomplished something no other human being had ever even attempted: completing five Ironman-distance triathlons of five different Hawaiian Islands in under seven days. I do not describe these accomplishments to massage my ego, but to underscore just how radically my life has changed. The difference is nothing short of miraculous. The point is this: everything – and I mean everything – that I have achieved as an endurance athlete, begins and ends with how I significantly changed my perspective on food. Of course, not everyone has the desire to compete in the Ultraman. But everyone wants to be healthy. In my opinion, a whole-food, plant-based diet is a critical first step on this journey towards taking your life back. My message is this: when the body, mind and spirit are healthy and balanced, anything is possible. The power to change exists within you. It’s never too late and is there for the taking. Believe me, if I can do it, you can too. To read more about Rich’s incredible journey, check out his inspirational memoirFINDING ULTRA: Rejecting Middle Age, Becoming One of the World’s Fittest Men, and Discovering Myself (Crown / Random House). View the book trailer below. 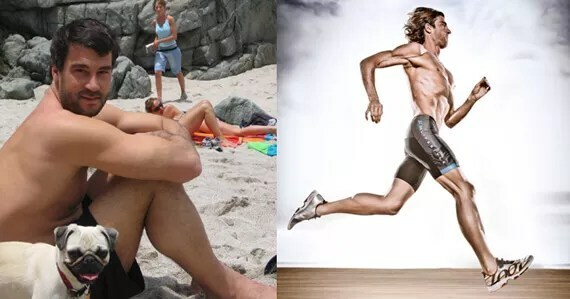 A graduate of Stanford University and Cornell Law School, Rich Roll is an author, world-renowned ultra-endurance athlete, a wellness advocate, husband, and father, and an inspiration to people worldwide as an example of courageous and healthy living. He is the first of two people to complete five Ironman triathlons on five Hawaiian islands in under a week. VisitRichRoll.com to receive updates and learn more about his book, Finding Ultra. Posted on June 25, 2014 by Health and Food MattersPosted in UncategorizedTagged health.